Vivo Showcases The Truly Full-Screen Vivo Apex in Its FIFA 2018 WC Advert: The greatest football tournament begins in less than a month, and Vivo is one of this edition’s sponsors. The Chinese smartphone manufacturer has released a new advert for the FIFA World Cup 2018 that showcases its genuinely bezel-less smartphone is the Vivo APEX. 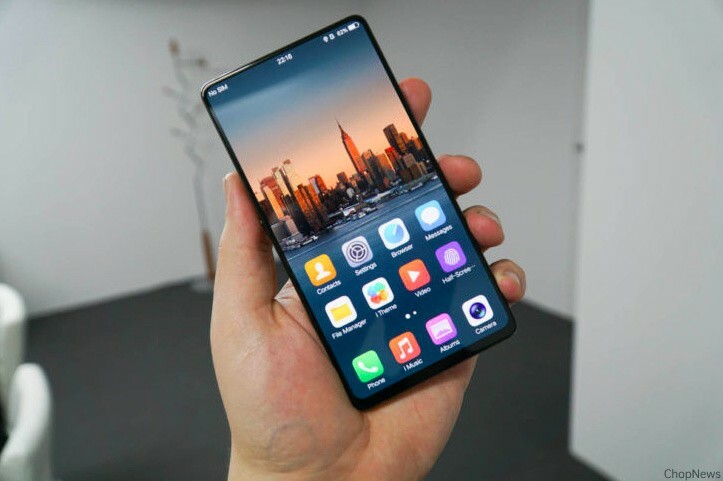 The Vivo APEX first appeared as a concept device at this year’s edition of MWC in Barcelona only to be officially announced later in China. Although, you cannot purchase one yet until later this year when it goes on the sale. The APEX is a unique device as it has a screen-to-body-ratio of over 90%. Its 5.99-inch OLED screen does not have a notch like Vivo’s recent releases. Instead, it buries the sensors under the display and hides the front camera in the metal frame. Open the camera app, and the sensor slides out in style. It also has a fingerprint scanner embedded under the screen. While this may not be new as other Vivo phones have it, the one on the APEX is unique as it covers a much larger area of the screen. When the Vivo APEX eventually goes on sale, you will find Qualcomm’s Snapdragon 845 processor inside it. The rest of the specs are still under wraps. So, these are the points to describe on the Vivo Showcases the Truly Full-Screen Vivo Apex in Its FIFA 2018 WC Advert.